Take a look at where Valtteri Bottas was able to get the edge over Sebastian Vettel to take pole position for the Chinese Grand Prix. Valtteri Bottas finishes practice three strong and takes the top spot, holding off Sebastian Vettel and Charles Leclerc of Ferrari. Lewis Hamilton struggles late, finishing in 4th. After finishing fastest in second practice at the Chinese Grand Prix Valtteri Bottas insists there is still room for improvement. Head to head comparison between Sebastian Vettel and Lewis Hamilton on the Shanghai circuit's long straight section. The Chinese Grand Prix has been dubbed Formula One's 1000th Grand Prix, a landmark that has attracted plenty of attention from fans and media alike. Lewis Hamilton has defended Sebastian Vettel's mistake at the Bahrain Grand Prix, saying the his chief rival's great performances outweigh the recent errors he has made. Formula One has more than doubled the prize money for this year's Esports world championship and will include more races and live events on the calendar. However painful the Bahrain Grand Prix was for Ferrari the emergence of Charles Leclerc offers a clear silver lining, but another error from Sebastian Vettel poses the team a serious headache which could shape its approach to the rest of 2019. Lewis Hamilton admitted it was strange to pass Charles Leclerc for the lead of the Bahrain Grand Prix as the Ferrari driver struggled with a late engine issue. 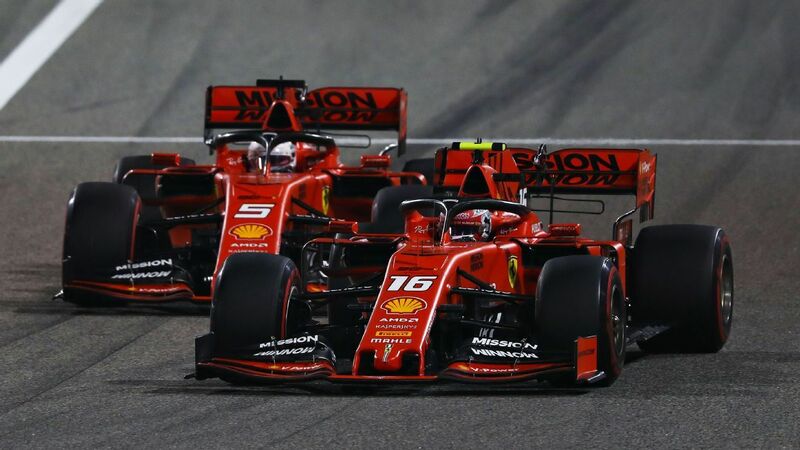 In the space of two weeks there has been a one second swing in qualifying performance between Formula One's top two teams, and it's all gone in Ferrari's favour. Mercedes thinks it knows why that's happened. Daniel Ricciardo earned himself a new nickname during the Australian Grand Prix weekend -- Lewis Hamilton is more than happy to keep the Danny Avocado meme alive. Ferrari's awful Melbourne performance coincided with its first use of team orders in 2019. Our F1 team picks through that and the other major talking points from the Australian Grand Prix. Despite Mercedes boss Toto Wolff favouring a cautious approach to the first race, Australia race winner Valtteri Bottas was determined to leave with F1's newest prize. Valtteri Bottas delivered a not-so-subtle message for his critics after crossing the line to win the season-opening Australian Grand Prix by over 20 seconds to Mercedes teammate Lewis Hamilton. What's in the mind of an F1 driver? Take an emotional journey with Lewis Hamilton into the thoughts of a Formula 1 driver ahead of the new season. The smart money says Ferrari and Mercedes will fight for victory at the opening race of 2019. A Melbourne victory for either Sebastian Vettel's or Lewis Hamilton's teammate would set up the season in perfect fashion. Lewis Hamilton has admitted 2019 will be his biggest challenge since joining Mercedes -- and it's not just because of the preseason pace of title rival Sebastian Vettel.